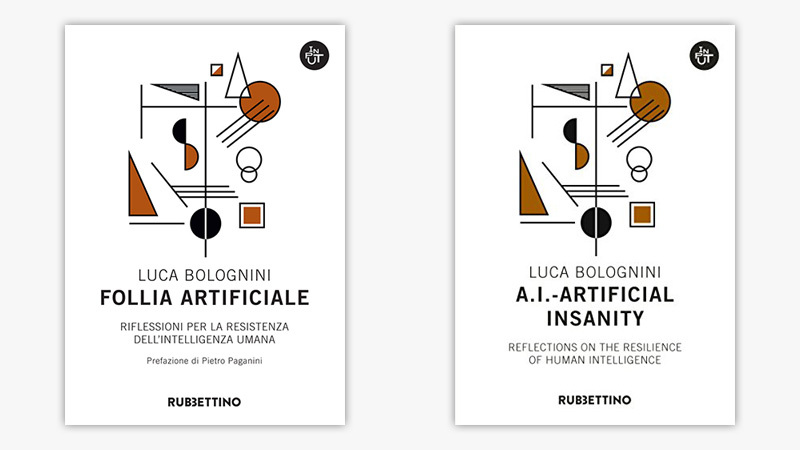 This is how the new book by Luca Bolognini begins, highlighting – already from the first lines, with two simple words (apparently contradictory to each other), concepts that will accompany all his reflection. The first keyword being “trust”. Some say that the trust is even an act of courage, a that value that must be conquered over time, yet Bolognini describes us almost as “babies” that we abandon ourselves blessed to “something momentous” that is happening. We are already experiencing that “something” is changing. What is it? What is slipping from our minds in these lives as “hyper-technological” and “hyper-connected” women and men? These questions bring us to the second keyword, “irrational”. But how is it possible? How do we blindly trust and let ourselves “like babies rocked in a cradle” by something that is irrational? In reality, it is us who often struggle to create solid bonds with other human beings, whom blindly trust the algorithms that govern our lives in an ever more pervasive way. We are surrounded by these algorithms and sometimes we do not even comprehend at what level and intensity. We have reached a moment in time where “machines” know more about us than we would like to admit, or that we ourselves might know. They know what our desires are, they even advise us on “things we might like”. Is this loss of control not an “irrational” thing in itself? This new reality does not allow us to separate what is real from what is virtual anymore. Let’s forget the phrase, which one might call “old-fashioned”, that was/we used years ago: “But it’s only a social network, is not at all real life”. Our virtual identity and our “real” identity can no longer be considered as two separated things. We live on the web and with the web. We create connections on social media, maybe some of our friends or relatives have met their partners thanks to Facebook, Tinder or other dating sites. Do we have to demonize this new reality? Of course not. At the same time, it takes a lot of energy to reflect a scene that is described in the second chapter of the book (“Keeping a Safe e-Distance”) in which two lovers who are in front of each other prefer to exchange messages via phone than look up and talk. Is this not an index of madness, of the man struggling with the artificial? But let’s take the conversation at an even higher extreme: and if tomorrow we became all a bit like Joaquin Phoenix, the protagonist of the film “Her” who had fallen in love with his operating system with highly advanced artificial intelligence algorithms? A man in love and jealous of his computer! Luca Bolognini, goes further, with profound lightness. What would happen if, in this world dominated by the IoT, if the machines “suddenly went insane” because of the extremely clever complication of their calculations and their sensitivity? At this point, references to science fiction movies of robots rebelling against humans might be argued as blowing this new reality out of proportion, but months ago the film became a reality when two experimental bots of Facebook began to speak a new language between themselves (as eloquently described in Chapter Three). In short, in this book, Luca Bolognini wants to reflect, together with his readers, about these new scenarios. He does not give us already deducted conclusions but instead provokes us by introducing extreme hypotheses (but perhaps not as unrealistic), in order to spark individual but possibly vexatious reflections that the readers can develop on their own. Of academic books, in the span of his career as a lawyer, academic and privacy expert he has written several, but “A.I.- Artificial Insanity. Reflections on the resilience of human intelligence” is not one of those. In this book, the author wants to analyse the reality in a pure and passionate way, without scholarly quotations, “bare-handed”, and talk open-heartedly as one would do to a friend, giving him/her, however, not a “solution” to ” ills “of the digital world, but as one may say a new pair of reading lenses. You can purchase the eBook for Kindle here.